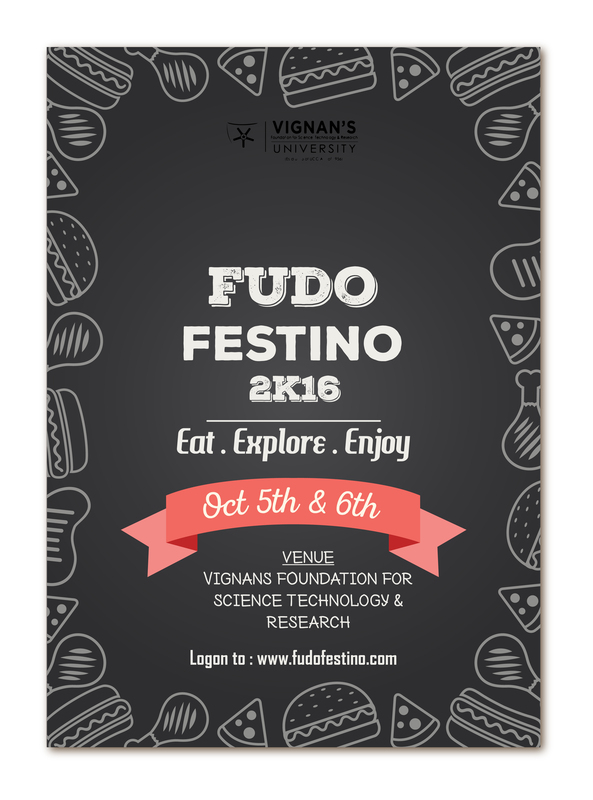 Fudo Festino 2k16 is a national level technical event organized for food technology and related engineering disciplines, hosted by the Department of Food Technology, Vignan's university. It focuses on technical and other exciting events attracting participants from all over India. 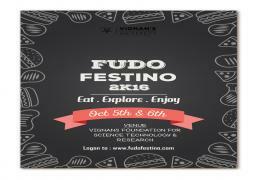 With the tagline and the underlying theme of "Food Technology Revolution" it is going to be a two days of food filled extravaganza. It is a unique opportunity for the Food Technology students and serving engineers to test their skills and invigorate their knowledge. Trofi Twinkle, the food carnival will be the major attractions of the event. This event anticipates to bring under one roof, food producers and processors, government policy makers, faculty, students and other food enthusiasts to share knowledge, discuss problems and present innovative solutions for sustaining the exponential growth of the food processing sector in India. The prime motive of organizing an event like this is to understand the needs and challenges of the industry and join hands together to find novel solutions for these problems.